In order to promote a high level of professional courtesy and enhance and preserve the professional relationships among members of the Evansville Bar Association, the Board of Directors of the Association adopts the following Code of Professional Courtesy. Notwithstanding this Code of Professional Courtesy, an Attorney's first duty is still to the legitimate interests of his/her client. In the event a conflict arises between the Attorney's duty to his/her client and courtesy to a member of the Bar, the duty to the client is still paramount. Moreover, all Attorneys in this State are bound to adhere to the Rules of Professional Conduct. Should there be any conflict between the Rules of Professional Conduct and the Code of Professional Courtesy, the former shall always take precedence. 1.1 A telephone call from the court should be an Attorney's first priority to return if he/she is unable to accept the call when placed. An Attorney should return telephone calls to the court at the earliest opportunity, but in no event later than four (4) hours after the call was placed. If the call cannot be returned in that length of time, someone from the Attorney's office should contact the court, explain the reason the call has not been returned and give the best estimate of when the call will be returned. 1.2 All telephone calls to other Attorneys should be returned as soon as practical but in any event within twenty-four (24) hours. In the event an Attorney is unable to return a call within 24 hours, someone from his/her office should place the call and explain the reason for the delay. 2.1 All professional correspondence seeking a response, from whatever source, should be acknowledged and the reply mailed no later than seven (7) business days after the receipt of the correspondence. 2.2 All entries which have been prepared by another Attorney requiring the signature of counsel should be executed and returned within five (5) business days of receipt. If the Attorney cannot, in good conscience, sign the entry for the court, the reason for the refusal to sign should be made known to the opposing counsel within five (5) business days. 2.3 All entries, orders and stipulations to be prepared by an Attorney should be sent to the other Attorney in the cause for comment and/or changes, even if signatures are not required, prior to submission to the court. This provision may be waived by the other Attorney. 3.1 Civility and courtesy are an Attorney’s professional obligations. A client has no right to demand that an Attorney engage in discourteous or abusive conduct. 3.2 When appropriate, an Attorney will advise the client that the Attorney reserves the right to determine whether to grant accommodations to opposing counsel in all matters that do not adversely affect the client’s lawful objectives. A client has no right to instruct an Attorney to refuse reasonable requests made by other counsel. 3.3 When appropriate, an Attorney will tell the client that he or she is under an ethical obligation not to engage in tactics which are intended to delay resolution of the matter, or to harass or drain the financial resources of the opposing party. 3.4 An Attorney should avoid taking action adverse to the interests of a litigant known to be represented without notice to opposing counsel sufficient to permit response, except when giving such notice would impair the rights of the Attorney's client. 3.5 An Attorney should avoid making ill-considered accusations of unethical conduct toward an opponent, should never unnecessarily and intentionally embarrass another Attorney, and should avoid wrongful and gratuitous personal criticism of other counsel, provided, however, that when the Rules of Professional Conduct require an Attorney to take action against another Attorney, those rules supersede the Code of Courtesy. 3.6 An Attorney should strive to maintain a courteous tone in correspondence, pleadings and other written communications. 3.7 In all professional and personal activity, an Attorney should maintain a cordial and respectful demeanor and should be guided by a fundamental sense of integrity and fair play and with the awareness that his or her conduct reflects on all members of the bar and bench. 3.8 An Attorney should never knowingly deceive another Attorney or the court, and if such occurs unknowingly, full disclosure should be made at the earliest available opportunity. 3.9 An Attorney owes to opposing counsel a duty of courtesy and cooperation, the observance of which is necessary for the efficient administration of our system of justice. Attorneys should treat each other with courtesy and civility and conduct themselves in a professional manner at all times. 3.10 Attorneys will not comment about another Attorney's ability unless specifically asked by a person. In such event the Attorney's answer as to the other Attorney's ability or character and reputation shall be as truthful and accurate as if he or she were giving it under oath. It does not reflect well on the profession to criticize a fellow Attorney with derogatory remarks that are unnecessary or unwarranted, provided, however, that all Attorneys recognize the duty to report to the Indiana Disciplinary Commission any substantial violation of the Rules of Professional Conduct. 3.11 No Attorney shall make an unsolicited comment on another Attorney's fee charged to a client as being too high unless the Attorney honestly believes that the fees were unconscionably high and would be willing to testify in open court that the fees were too high. Attorneys do not know what work another Attorney may have done for a client or the nature of the work and it does not reflect well on the profession to gratuitously opine that another Attorney is overcharging a client. 3.12 If a fellow member of the Bar makes a justified request for cooperation or seeks scheduling accommodations, an Attorney will not arbitrarily or unreasonably withhold consent and will agree whenever possible with such changes. 3.13 Attorneys should be willing to stipulate to undisputed matters not inconsistent with their client's interest as a matter of courtesy to the court and opposing counsel. 4.1 An Attorney will always address the court with the utmost respect and courtesy both in and out of the court room and in that regard, shall stand when addressing the court in open session, shall refer to the court as "Sir", "Madam", or "Your Honor" and shall instruct his/her client to do the same. 4.2 An Attorney will not unnecessarily demean a judge or his/her ability to anyone. 4.3 An Attorney will not imply that he/she has some special relationship with a judge or otherwise give a litigant reason to believe that cases are decided on anything other than the merits of the case. 4.4 An Attorney owes to the judiciary candor, diligence and the utmost respect. 4.5 As soon as a matter has been settled, both Attorneys shall take it upon themselves to immediately, and in no case longer than 24 hours, notify the court that the matter has been settled and should be removed from the court's calendar. This is a courtesy not only to the court but also to those Attorneys who have second and third settings. 4.6 In open court, Attorneys should try to direct their comments only to the court, the witnesses or, during voir dire, to the jury and should try to refrain from directly addressing opposing counsel except on introductory matters. 4.7 The court is the personification of the legal system, which is the basis of our society, and as such must be treated with the respect and honor due to the court, regardless of the Attorney's opinion of the qualifications, abilities or bias of the person occupying the bench as an individual. 4.8 Attorneys shall be courteous to court personnel and to other non-Attorneys who are involved in the court system. 4.9 Attorneys should dress appropriately when entering a court room or any other judicial or administrative proceeding. At a minimum, men should always wear a coat and tie and women should wear appropriate attire. Sports clothes are satisfactory for recreational activities but not for the court room. 4.10 Before filing a motion which may reasonably be unopposed, an Attorney should ask opposing counsel whether he/she will oppose the motion and include counsel’s response in the body of the motion. 5.1 If an Attorney knows a party or person to be represented by counsel, he/she shall serve a courtesy copy of any complaint, notice, summons or subpoena to that Attorney, even if the Attorney is not accepting service on behalf of that party or person. If reasonably possible, this should also be done by e-mail. 5.2 An Attorney shall make all reasonable efforts to schedule matters with opposing counsel by agreement. 5.3 An Attorney should make all reasonable efforts to reach informal agreements on preliminary and procedural matters. 5.4 During a trial, an Attorney will never resort to a personal attack on opposing counsel or make derogatory remarks about opposing counsel, will be polite and courteous to opposing counsel and will not interrupt opposing counsel's address to the court or jury except to make legitimate objections. 5.5 Once an Attorney has made an agreement with opposing counsel about the submission of evidence or identification of witnesses or stipulations of the facts that he or she will make at trial and the Attorney knows that something has happened that will require him/her to not honor that commitment, opposing counsel must be immediately informed. 5.6 An Attorney should not move for default against another Attorney without first giving him/her the courtesy of at least one letter, e-mail or telephone communication and an opportunity to file whatever pleading is required, unless specifically directed by his/her client to move for the default without displaying such courtesy. 5.7 An Attorney will not file dilatory pleadings that he/she knows are not likely to be granted, as the filing of such pleadings not only is a discourtesy to the court and opposing counsel, but adds to the cost of the litigation process. 5.8 No Attorney shall correspond with the court on a pending matter without providing a copy of such correspondence to opposing counsel. 5.9 An Attorney will give trial witnesses adequate notice as a matter of courtesy to the witnesses, allowing them sufficient time to prepare to attend court. The minimum time shall usually be ten (10) days absent unusual circumstances which do not allow that much time. Counsel shall attempt to schedule witnesses in a manner which minimizes the witnesses’ time spent at the court house. 5.10 Once a matter has been scheduled for deposition, hearing or trial, no Attorney should attempt to continue such deposition, hearing or trial without a good, just and valid reason and no Attorney should fabricate or facilitate the conflict for the purpose of seeking a continuance and delay. 5.11 No Attorney shall seek continuances or extensions of time to respond or appear unless such are actually needed. A continuance or extension shall never be sought purely for purposes of delay or harassment. A request for Alternative Dispute Resolution should not be made unless the client is genuinely committed to negotiate in good faith. 5.12 In situations where the Attorneys are controlling the calendar of a court proceeding such as in misdemeanor court, in uncontested divorce matters or small claims cases, any Attorney with five (5) or more matters on the docket should, as a matter of courtesy, allow other Attorneys with one or two matters to be heard ahead of the Attorney with five or more matters. 6.1 No Attorney should arrive at a designated meeting with another Attorney more than ten (10) minutes after the time set for the meeting. In the event the Attorney is unable to keep the meeting with another Attorney at the appointed time, he or she should call and explain the delay and give a reasonable estimated time of arrival. 6.2 No Attorney should arrive at a scheduled time in court later than five (5) minutes from the scheduled time. If the Attorney finds that he/she is unable to keep that time due to unavoidable circumstances, the Attorney must call the court and explain the reason and ask that the court personnel inform opposing counsel of the delay, the reason for the delay and a reasonable estimated time as to when the Attorney will arrive. 6.3 An Attorney should not schedule more than two (2) matters in court at the same time which involve different counsel. If an Attorney knows he/she has too many matters scheduled at a specific time in a specific court and with different counsel opposing, the Attorney shall, twenty-four (24) hours prior to the scheduled hearing, contact opposing counsel, inform them of his/her schedule the next day and offer a later time to have the matter heard. 6.4 An Attorney who knows that the other side is represented by legal counsel will not unilaterally set any hearings, motions or matters on the court's calendar without first calling opposing counsel to obtain a convenient date. If the Attorney does set a matter unilaterally, he/she will notify opposing counsel of the date, time and place of hearing in writing and by e-mail where reasonably possible within 24 hours and courteously inform opposing counsel that the Attorney will agree to vacate and reschedule the hearing, motion, trial, etc., if the date is not convenient to his or her schedule. 6.5 No Attorney shall contend that a matter should be placed on the contested calendar unless the Attorney honestly believes it will be tried and is genuinely contested. An Attorney will not place matters on the contested calendar simply as a means of delaying the resolution of that matter. 6.6 Depositions, hearings and other matters which cannot be set by agreement of counsel should not be set with less than ten days notice except in cases where a client's circumstances necessitate an earlier hearing or other action. 7.1 No Attorney will schedule depositions without first consulting the calendar(s) of opposing counsel for a convenient date and time. 7.2 Attorneys will not abuse the discovery process by serving form interrogatories that are not germane to the facts of the case but are merely produced for the purpose of burdening the opposing side. 7.3 An Attorney shall not refuse to respond to discovery without a valid, legal reason nor shall he/she raise frivolous or meritless objections. 7.4 No Attorney shall file a motion to compel or motion for sanctions in a discovery matter without first writing or calling opposing counsel and making a good faith effort to resolve the matter. 7.5 An Attorney should not abuse the judicial process by pursuing or opposing discovery arbitrarily or for the purpose of harassment or delay. 7.6 An Attorney shall respond to discovery when due, or shall inform opposing counsel of the delay and give a reasonable estimate of a response time. An Attorney shall request no more than one extension of time without the agreement of opposing counsel, or a hearing if such agreement is withheld. Such agreement shall not be unreasonably withheld. 8.1 An Attorney shall be mindful of his/her use of social media and its impact on any legal case or matter, including whether it attempts to or could be perceived as attempting to influence any member of the Bar, judiciary, or public. 8.2 An Attorney should refrain from any use of social media that could be construed as impugning the character or professional standing of any member of the Bar or judiciary or in any way calling into question the characteristics essential to a Judge or an Attorney, such as independence and integrity. 9.1 The Code of Professional Courtesy applies equally to communication by email and fax as it does to verbal and/or written communication. 9.2 Cellular telephones should be turned off or silenced during court, while in judges’ chambers, during mediation, administrative hearings, arbitrations, or other proceedings where decorum and respect are required to minimize distraction and delay. 9.3 No Attorney shall use the Indiana Disciplinary Commission as a means solely for personal revenge against another Attorney or to embarrass another Attorney. No Attorney shall encourage his/her client to take such action unless the Attorney honestly believes there has been a valid breach of the Rules of Professional Conduct in which case it would be the Attorney’s duty to personally report such unethical behavior to the Disciplinary Commission. 9.4 An Attorney should never threaten another Attorney with an unwarranted disciplinary action. 9.5 No Attorney shall attempt to cause another Attorney or firm to be disqualified in litigation without a valid and just basis for so doing and should not attempt to interpose an allegation of conflict merely to gain an advantage in the litigation. 9.6 Any Attorney believing that another Attorney has a conflict of interest in litigation shall first contact the Attorney, explain the facts as known to him/her and make a request that the Attorney withdraw before filing anything with the court seeking any mandatory withdrawal of counsel or a firm. 9.7 The rules of professional courtesy contained herein are not meant to be used as standards in any disciplinary proceedings or legal malpractice action and denote only the standards for courtesy in Vanderburgh County among Attorneys and not the standards of professional conduct which are contained in the Rules of Professional Conduct and elsewhere. This Code of Professional Courtesy is adopted to help promote good working relationships among the Attorneys in Vanderburgh County and to help insure that in adversarial proceedings, although clients may generate ill feelings, those ill feelings should not influence an Attorney's conduct, attitude or demeanor toward fellow Attorneys. 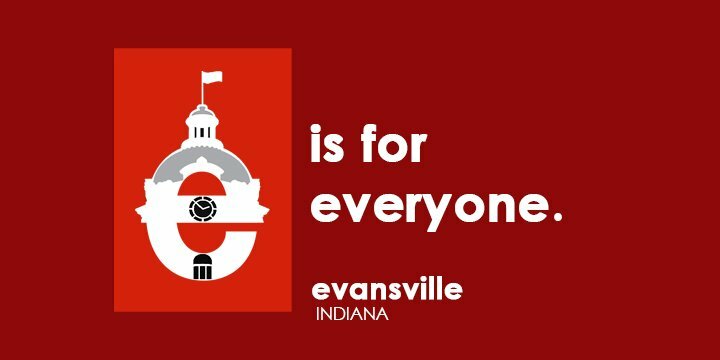 Revised by the Board of Directors of the Evansville Bar Association on this __13th___day of __April_______, 2017.